Habanero has launched a brand new Asian-themed video slot that revolves around man’s best friends, doggies. These guys know how to make a fortune – and going to help us as well. Released on 2oth May 2018, the pokie has a background showcasing some Japanese cityscape. Also, the maker used some pleasant Chinese melody for the game music. However, the game’s bonus features are more exciting than anything else. Before you visit Rizk casino and start playing Fortune Dogs, take a look at some of its features. Paylines. It has an incredible 243 ways of winning. High-paying Symbols. The pack of dogs which has a bulldog, a Pinscher, French Poodle and a police dog is the high paying symbols. Every time they hit the reel, we noticed them double up. Free Spins. Players need to fill up the dog bowls with golden paws to trigger the free spin mode. There are some big wins awaiting at the end of the game. Scatter Wins. Apart from the free games, there are also some scatter wins. As soon as the dogs stop scurrying around the city, there are some more bonuses waiting to get revealed. RTP. The production has a Return to Player of 98%. The cartoonish slot characters add a big bang to the game. Not to forget, the high RTP and bonus features make it worth a try. Waste no time, visit Rizk casino and start playing Fortune Dogs to find out how lucky you are today. 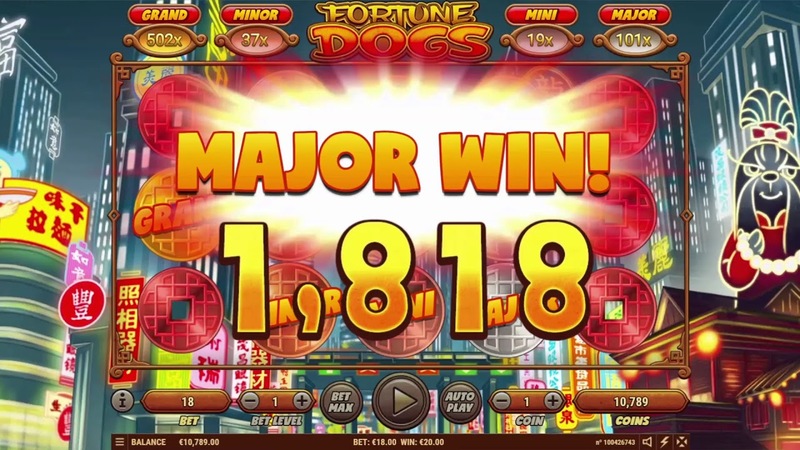 Remember that at Slotozilla you can practice free slot games like Fortune Dogs without any restrictions or limitations.